MWThu: 9:00 a.m. – 1:30 p.m. | TF: 12:00 p.m. – 5:00 p.m.
Take a look at our homes today! Welcome to lovely tree-lined Paris Estates! 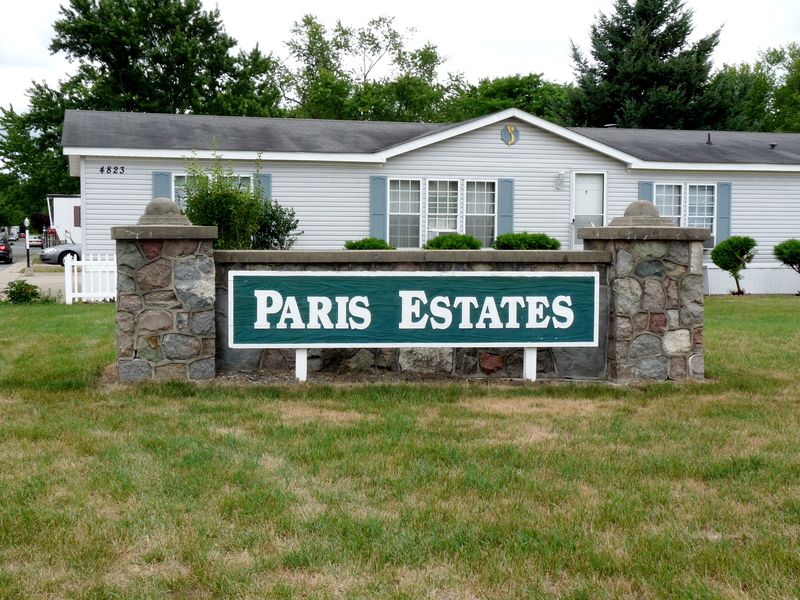 Paris Estates is located on 48th street between Division and Eastern in Kentwood, Michigan, and is in the respected Kelloggsville School District. The school complex, athletic facilities, and a number of parks and playgrounds are nearby – some even right across the street! A public bus stop is within a quarter mile of Paris Estates. Shopping and employment opportunities are within walking distance as well, and easy access to 131 and M6 is just minutes away. Our 155-site manufactured housing community offers some of the largest home sites available, as well as the very appealing quad layout, which provides superior views compared to the traditional side-by-side communities. Our streets are wide, with raised sidewalks and light posts illuminating each home site. Interested in renting or buying a home? MWThu: 9:00 a.m. – 1:30 p.m. TF: 12:00 p.m. – 5:00 p.m.